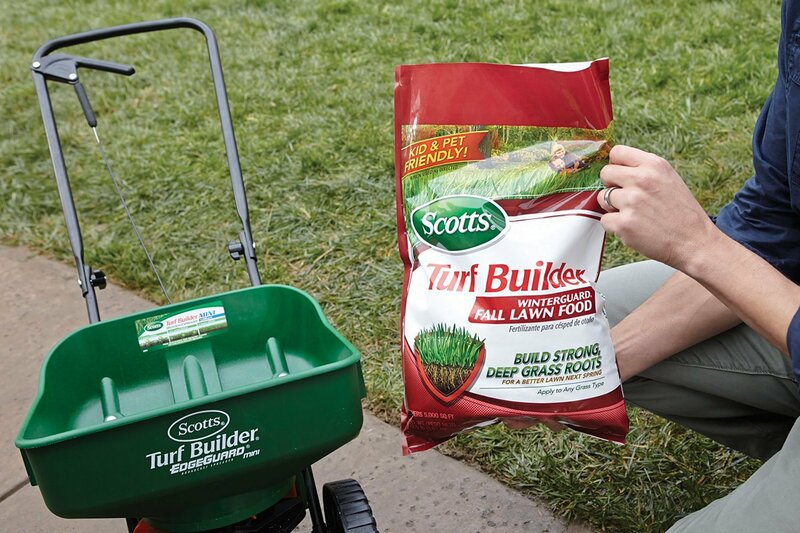 Apply to a wet or dry lawn on a calm day. No need to water in, however, during dry periods, watering will hasten greening. 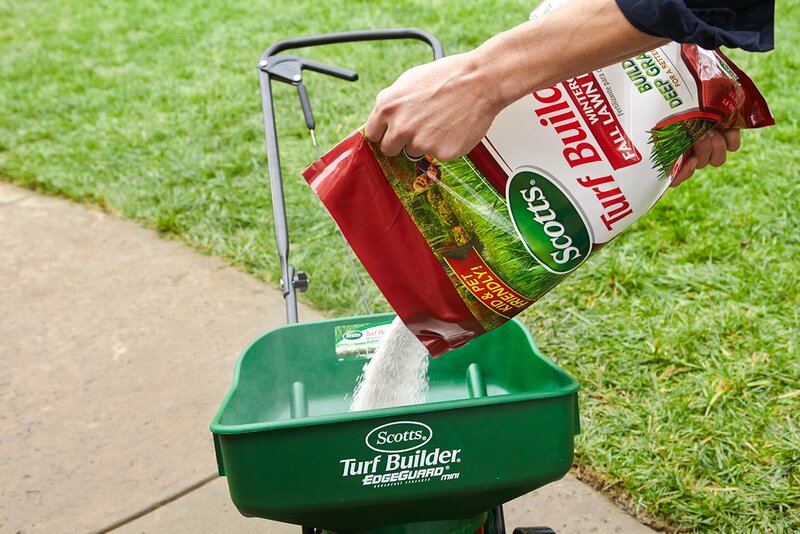 For best results, apply using a Scotts® spreader. Any time in the fall. Fall is the best time to feed. 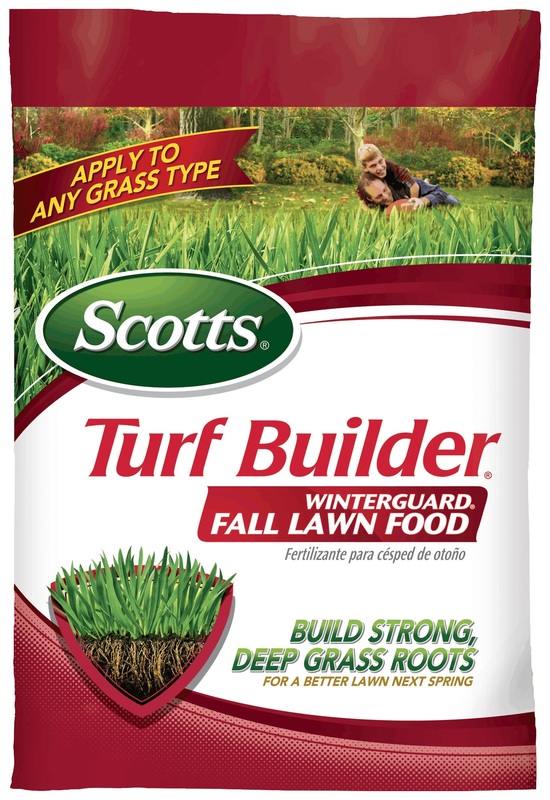 For your best lawn, feed once in early Fall and 6-8 weeks later in late fall. If empty do not reuse contain. Place in trash or offer for recycling if available. If partly filled, call your local solid waste agency for disposal instructions. 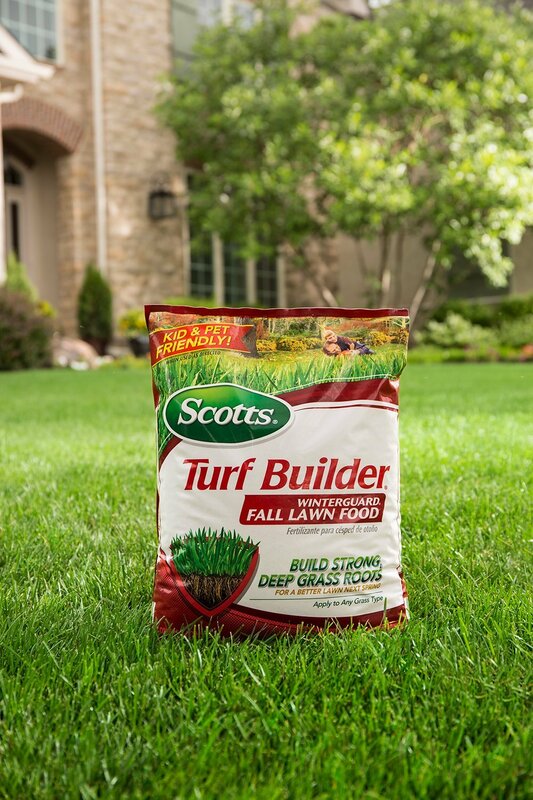 Never place unused product down any indoor or outdoor drain.